Well, don’t I feel like the new kid in class. Has anyone seen my Speed Racer lunchbox? It would definitely be more comforting right now than the laptop in front of me. So yes, I am the new kid. Please allow me to introduce myself: I’m Adam Ried, the humble proprietor of the new Culinate column Adam’s Rib. My column is new, but actually I’ve been around, obsessing about things in the kitchen, for ages. For 10 years, I was an editor at Cook’s Illustrated in Boston, where I’m still based. Though I worked on just about every part of the magazine over that period, my primary gig there was testing kitchen equipment. You know, everything from stand mixers and gas grills — someday remind me to tell you the story of how I caused the entire staff at the Consumer Reports laboratory to evacuate the building, into a 10-degree January day, while testing those freakin’ grills — to pots and pans and knives of every imaginable configuration, all the way down to such kitchen minutiae as spatulas, slotted spoons, apple peelers, nutmeg graters, and even kitchen twine. Hey, we all use this stuff, and there are differences between various types, and we’re only going to buy so many slotted spoons in our lives, so why not choose the best? Anyway, I continue to stir that pot on the PBS cooking shows '"America’s and '"Cook’s from America’s Test Kitchen. I also write regularly for Cook’s Country, among other magazines. 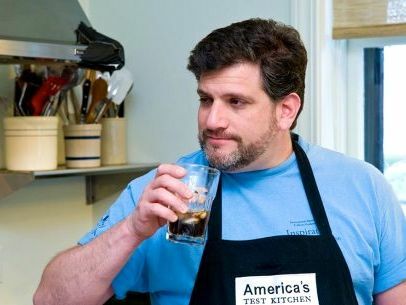 I am also the weekly cooking columnist for the Boston Globe Magazine, a job I love, chiefly because it feeds my most unmanaged addiction: cookbooks. I can’t get enough of them. I’m a junkie. I haunt used bookstores and cookbook swaps and libraries. The floors in my apartment sag from the books’ cumulative weight, and that’s just the ones I can fit onto the shelves. Half of them are in boxes in the basement for lack of shelf space. Since reading cookbooks is so much fun, I wanted to try my hand at writing them, too. I did two books in quick succession, both published in 2009. The first was a soup book for Williams-Sonoma called [%amazonProductLink "New Flavors for Soups" asin=0848732715]. The second, called Thoroughly Modern Milkshakes, I refer to only half-jokingly as “the world’s pre-eminent treatise on the critical topic of milkshakes.” It may sound familiar to Culinate readers because Matthew Amster-Burton took a look at it for his June 2009 Unexplained Bacon column on shakes. In terms of subject matter for Adam’s Rib, it’s going to be a bit of a mashup, which is to say whatever is on my mind at the moment. And by way of fair warning, what’s often on my mind these days is the kitchen renovation that we’re just beginning. The kitchen in my apartment was apparently someone’s DIY-on-the-(very)-cheap project circa 1973, and for the most part, it hasn’t been touched since. So yes, at the moment my mind is filled with specifications and reviews of counter-depth refrigerators and the like. Less storage space for more money? Go figure. 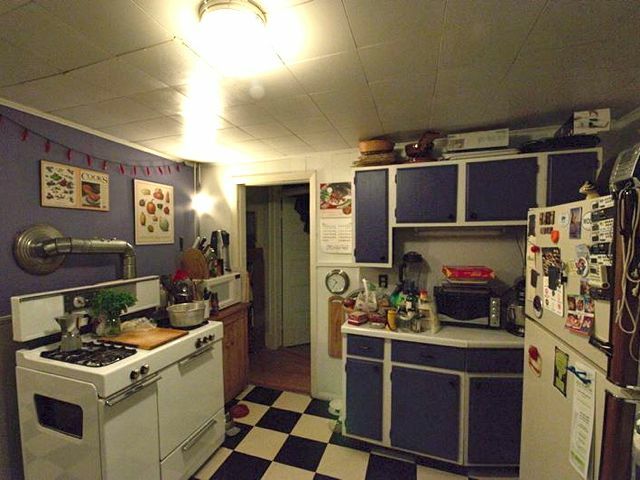 It’s been a hard sell, but I’m coming around to the realization that a standard-depth fridge just won’t fit well into the space, thanks largely to an idiotically placed and immovable chimney. Bye-bye, fantasy mega fridge. That dishwasher, though, is still definitely coming down the pike. So stay tuned, at least for a few good “after” shots of the new kitchen once it’s complete. Speaking of which, does anyone have a recommendation for a good 30-inch dual-fuel range? p(bio). Adam Ried writes about food and cooking from Boston.